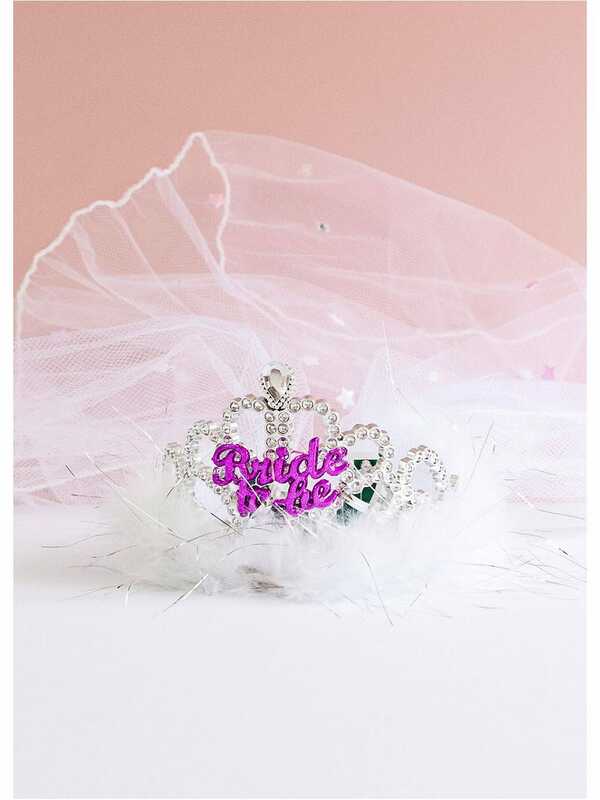 Flashing, glitzy tiara with a bright bride to be message which is ready to just place on the special ladies head. Something special, sparkly, and beautiful. With a fluffy trim around the tiara and with added silver tinsel, stars and glittering stones placed within the veil she will surely feel like a queen all night long. This is an adult size tiara- this fits on snuggly as a headband- not just resting on top of the head. Showing our 3 Flashing Bride To Be Tiara With Veil reviews with an average rating of Excellent. Would you like to write a review? Great price and quality. A great finishing touch to the Hen. I have ordered for my daughters hen party. It's looks very good hope my daughter will love this to wear.